The latest Star Wars The Force Awakens TV spot trailer has been released and this one focuses on the Dark Side and has some new footage that we have not see before. 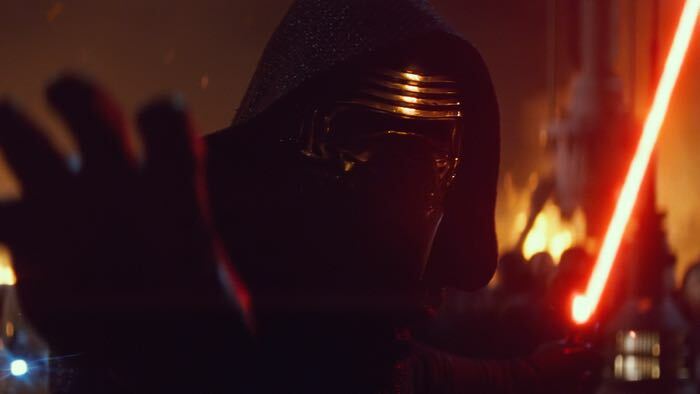 In this new TV spot for Star Wars The Force Awakens, we get to see more of Kylo Ren who is played by Adam Driver. The new Star Wars movie is the seventh movie in the series, it takes place some 30 years after Return of the Jedi and stars many of the original star wars cast, this includes Harrison Ford, Carrie Fisher and Mark Hamill. Not long now until the new Star Wars movie hits the cinemas, it launched on the 17th of December and we cant wait to see it.